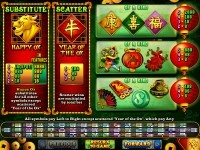 Happy Golden Ox of Happiness is a fixed bet ($1 per spin) RTG slot. 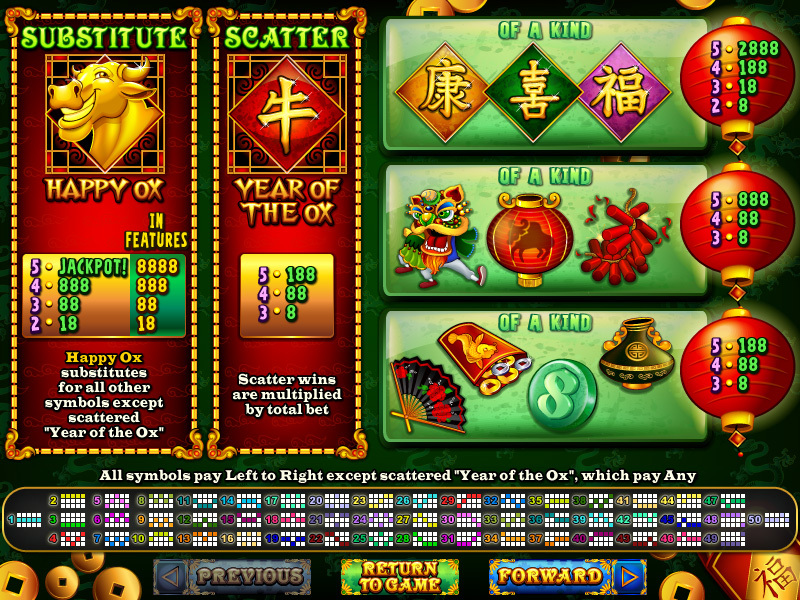 It features 50 paylines, a wild symbol (the happy golden Ox), and two bonus rounds. I laughed when I first saw the title of this slot, but it turned out to be a pretty good game, the bonus rounds seem to trigger fairly often. The first bonus round is triggered when the golden Ox appears on reels 1 and 5. You are awarded up to 8 respins with reels 1 and 5 remaining in place, and a multiplier that starts at x1 and increases by 1 with each spin. The other bonus round is triggered when 3 or more scatter symbols appear on the reels. 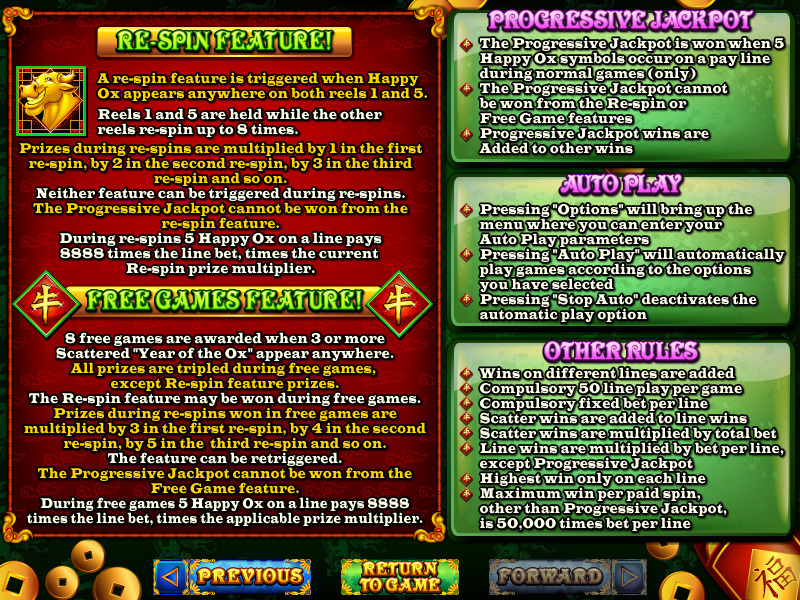 You are awarded 8 free spins with a x3 multiplier, free spins can be retriggered and the respin feature can also be triggered during the free spins. 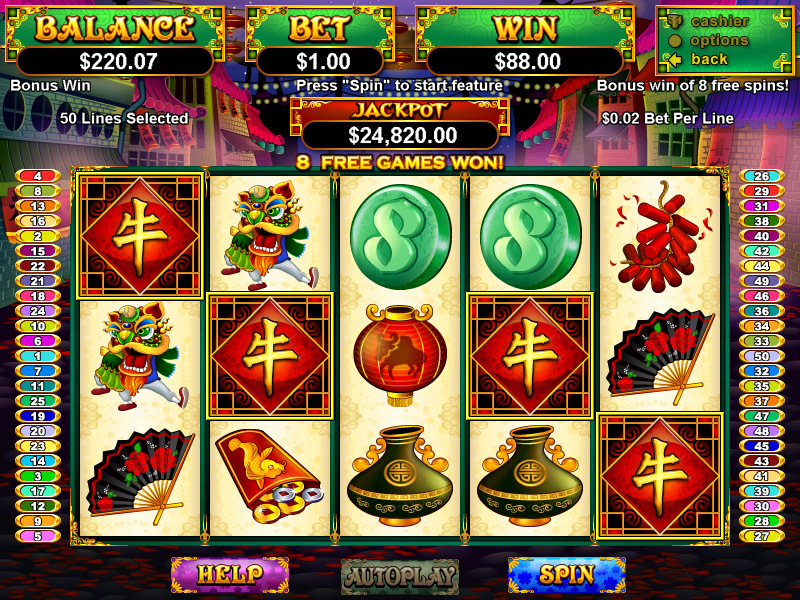 Hit 5 golden Oxes on an active payline during normal play to win the progressive jackpot, hit 5 within a bonus round for 8888x your line bet. It’s nice to know with the fixed bet that everyone has the same chance of hitting the jackpot. 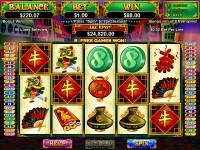 Play it now at any of these great RTG Casinos!